HAPPY NEW YEAR! Look at this picture I have sent you. Me kissing you RIGHT on the lips like I always did. 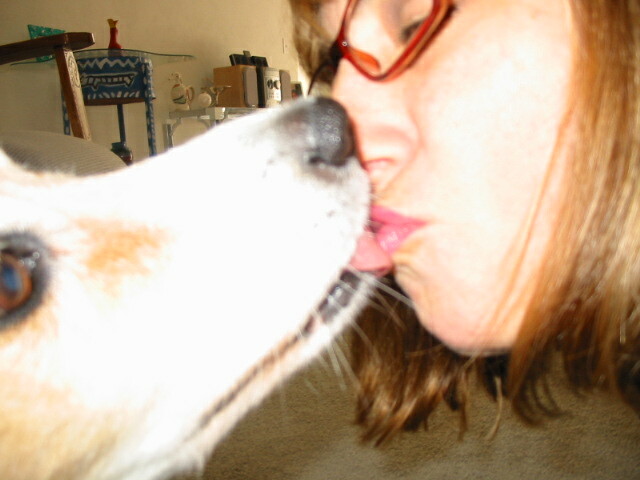 I love this picture so I thought since you were talking about the many doggie kisses you are receiving you might like THIS picture of one of our kisses. Remember, our story started with a kiss – one TRUE kiss! And I want you, in the new year, to remember that real love stories never end – they only continue, whether they are physical or not. Just because we are in different places, does not mean we are not together. OF COURSE I have been talking to little Zoe and I made sure that she comes over often enough. Didn’t you notice how she kissed you right on the lips, just like me and even Rodeo was kissing you like that the other day when you walked him AND Munchkin did yesterday! I saw all that – and heck, Munch has not even seen you in a long while! You have to know you are like a female version of Dr. Doolittle or something like that. Dogs and cats just gravitate to you. You seem to have a sensitivity we can pick up on and trust and we know these things. Yes, I am putting out feelers for another doggie for you, but I know he/she needs to be special for you to make the jump – after all – you HAD ME!!! Who could better? haha! I miss you just as much as you miss me, but life is a circle. We are born, and we die. But the good news is that like the years go on, we continue – even after you get old and think you are done with life, you go on. Just think of the shape of a heart, it’s a closed shape that connects on all sides – just like we will always be connected from every side you can think of. 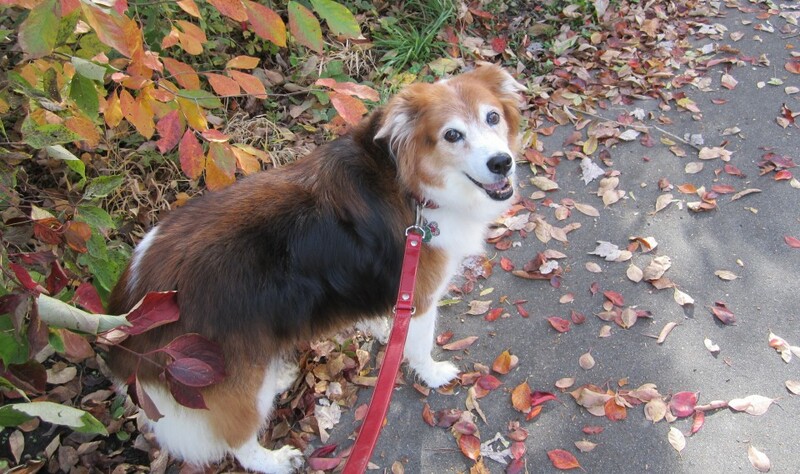 The little things that you have been sensing (like the Border collies on Christmas Eve and the Bailey Dog on Christmas day) are very real and it is because I am your heart, just like the ruby one you wear around your neck that daddy made for you in my honor. I love that you wear it every day. You will always be my mom and the one I love and treasure most. Our connection does not stop in the new year it only grows stronger and deeper through our new means of communication – letters to each other. This is the last one of 2011, but we have a lot more to look forward to in 2012 – which starts in a few hours! Like you , I am sleepy and will go to bed before midnight, but I wanted to get this letter to you, so I can sleep well and think of the next beautiful letter I will get from you.